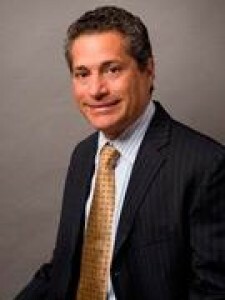 John A. Pappalardo is a Partner in the law firm of Farber, Pappalardo & Carbonari, an AV rated firm with offices in White Plains, New York and Roseland, New Jersey. The firm is involved in matrimonial and commercial litigation, arbitration and mediation, and tax work. The White Plains office consists of two (2) partners, five (5) associates, one (1) of counsel attorneys, law clerks, paralegals and an administrative staff. John has been an active matrimonial practitioner for 31 years. He supervises a 9-member matrimonial department. Please visit the firm’s website at www.pappalardoesq.com. John has been litigating matrimonial cases over his entire career. He also has a private matrimonial mediation practice, is certified in matrimonial collaborative law, sits as a matrimonial arbitrator and is New York State Certified as an attorney representing children in all actions in which their rights are implicated. He has also served as Guardian Ad Litem in matrimonial proceedings. He is admitted to the State and Federal Bar in New York, New Jersey; and Massachusetts. He is a member of the Bar for the United States Supreme Court and the International Association of Matrimonial Lawyers. He is further a member of the American Bar Association, New York State Bar Association, Westchester County Bar Association and all of their domestic relations and Alternative Dispute Resolutions subsections. He served on the Westchester County Bar Multi- disciplinary Committee designed for the improvement of Matrimonial Law with a specific focus on the development of a Universal Forensic Order. John has further engaged in the Administrative Law Program for pro bono work in the matrimonial field. He was a referral attorney for the National Center for Missing and Exploited Children, representing parents who have had their children abducted. John is a member of the American Arbitration Association and has taught Arbitration and Mediation programs for the American Arbitration Association. He has spoken in the field of Domestic Relations law on behalf of the Westchester County Bar Association, New York State Bar Association and National Business Institute. He is a former member of the Berkley College Paralegal advisory board; and has been a visiting professor at Pace University Law School teaching Arbitration and Mediation, a former adjunct high school instructor teaching Trial Preparation and a visiting professor at Hofstra Law School. John is a 1983 graduate of Ithaca College with a BA degree and a 1986 JD graduate from The New England Law School. John has a private matrimonial mediation practice, is certified in matrimonial collaborative law, sits as a matrimonial arbitrator and is New York State Certified as an attorney representing children in all actions in which their rights are implicated. He has also served as Guardian Ad Litem in matrimonial proceedings. He is admitted to the State and Federal Bar in New York, New Jersey; and Massachusetts. He is a member of the Bar for the United States Supreme Court and the International Association of Matrimonial Lawyers. He is further a member of the American Bar Association, New York State Bar Association, Westchester County Bar Association and all of their domestic relations and Alternative Dispute Resolutions subsections. He served on the Westchester County Bar Multi-disciplinary Committee designed for the improvement of Matrimonial Law with a specific focus on the development of a Universal Forensic Order. John has further engaged in the Administrative Law Program for pro bono work in the matrimonial field. He was a referral attorney for the National Center for Missing and Exploited Children, representing parents who have had their children abducted. John is a member of the American Arbitration Association and has taught Arbitration and Mediation programs for the American Arbitration Association. He has spoken in the field of Domestic Relations law on behalf of the Westchester County Bar Association, New York State Bar Association and National Business Institute. He is a former member of the Berkley College Paralegal advisory board; currently a visiting professor at Pace University Law School teaching Arbitration and Mediation and a former adjunct high school instructor teaching Trial Preparation. National Arbitration & Mediation, Inc.